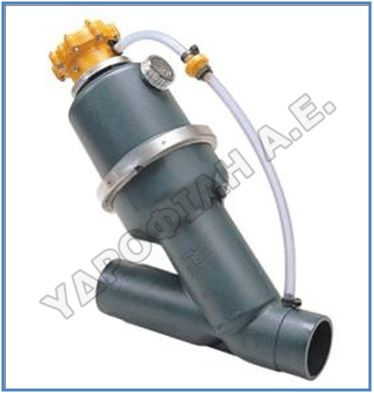 The vacuum sewer system consists of a vacuum station, valve chamber package and vacuum pipeline. The specific name of the system differs according to the manufacturer of the vacuum valves adopted in the system. Unlike gravity flow systems in general, the main sewer pipeline in the vacuum sewer system are maintained in vacuum condition at all times by the vacuum pump installed in the vacuum station. Domestic sewage assembles in the valve chamber package and is sent to the vacuum pipeline. Through the vacuum pipeline, which is laid underground shallowly in the saw tooth profile, domestic sewage is collected in a collection tank in the vacuum station. Then, from the collection tank, it is delivered to the main sewer pipeline or to the sewage treatment facilities by the aid of sewage pump.